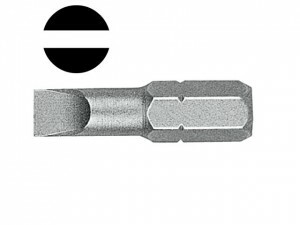 Size: slotted 6.5 mm x 1.2mm, length 25 mm with 1/4in hexagon drive.2 per card. 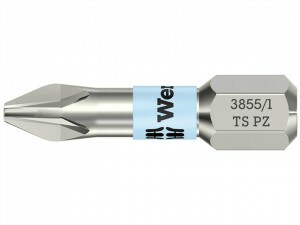 Size: slotted 5.5 mm x 0.8mm, length 25 mm with 1/4in hexagon drive.2 per card. 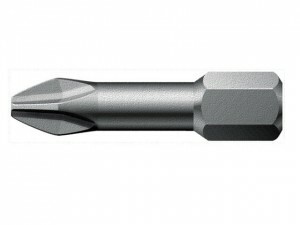 Size: slotted 4.5 mm x 0.6mm, length 25 mm with 1/4in hexagon drive.2 per card. 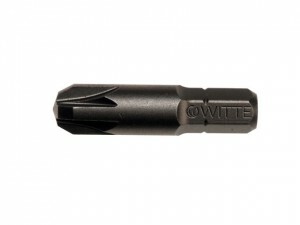 Witte Phillips Screwdriver Bits Size: Phillips No.2.Length: 25mm. Supplied as a card of 2. 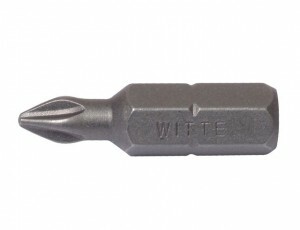 Witte Pozi Screwdriver Bits. 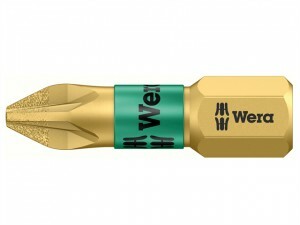 Size: PZ2.Length: 25mm. Supplied as a card of 2. 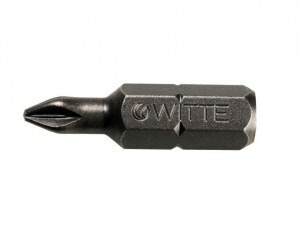 Witte Pozi Screwdriver Bits. 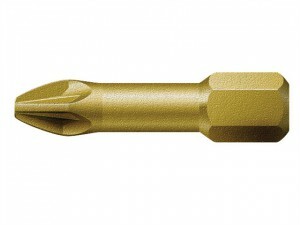 Size: PZ1.Length: 25mm. Supplied as a card of 2. Card of 2 x Phillips PH2. 1/4in Hexagon drive x 25 mm Card of 2 x Pozidriv 1 point. 1/4in Hexagon drive x 25 mm Card of 1 x Pozidriv 3 point. 1/4in Hexagon drive x 25 mm Card of 1 x Pozidriv 2 point.